This is an gorgeous Olmo Sintex frameset we got off of a friend who is a local collector and who was pairing down his collection. 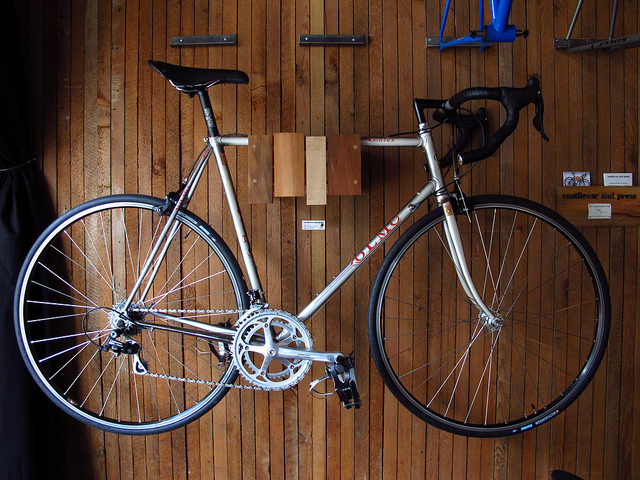 Nice grey fade paint job, and constructed with a Columbus SLX tube set. We built it up with a 9spd. Campagnolo Xenon group we had, with the exception of the cranks which were Campagnolo Mirage of the same vintage. Our buddy Seth snagged this gem and is savaging the streets on the daily with it.